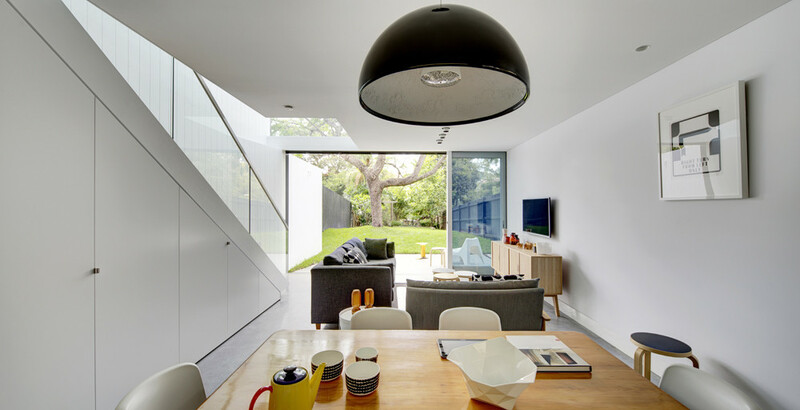 What was formerly a conventional brick home in Australia now boasts wide-open views of a tranquil backyard thanks to a modern addition by Sydney-based architect Christopher Polly. 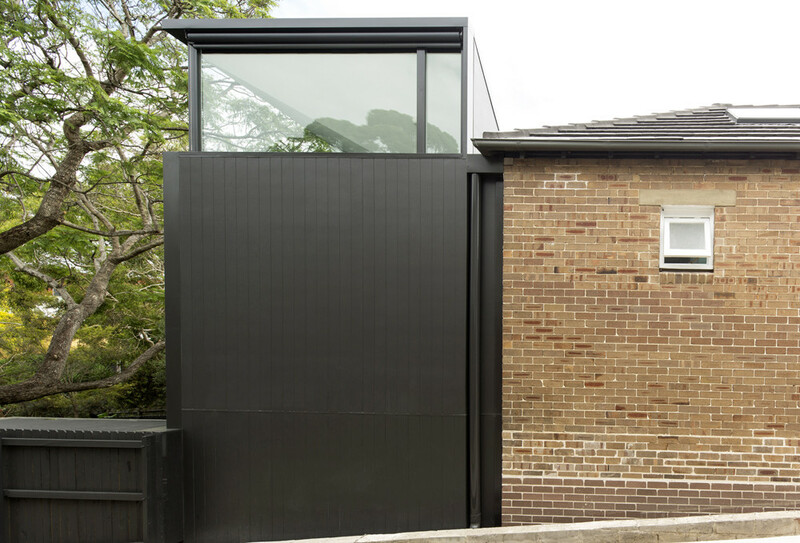 The original shell of the building was preserved, enabling the home to blend in with the other homes in its suburban neighborhood, while a new glazed volume in the back offers extra space and lots more light. 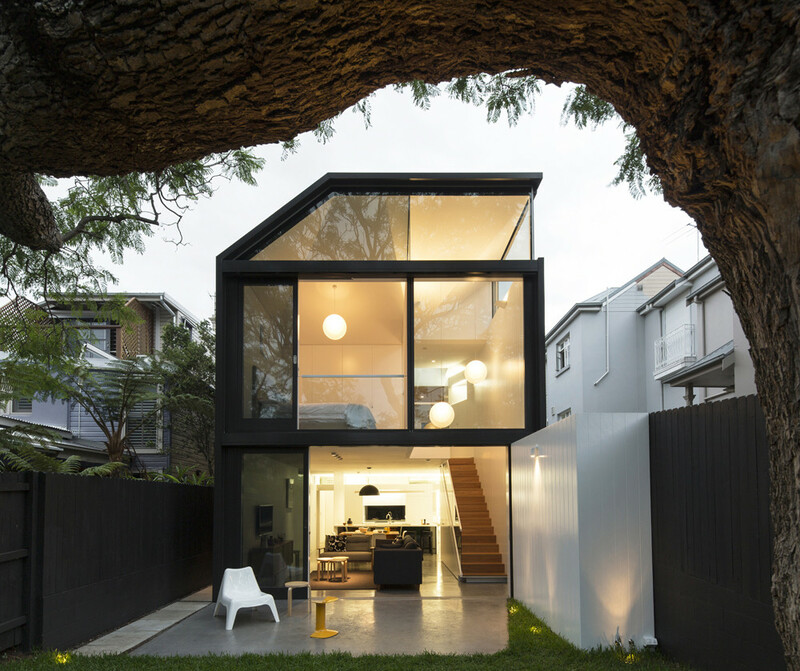 The black addition was made to mirror the vernacular form of the original house from the outside, disguising a clever folded interior ceiling punctuated with skylights that reveal slices of the sky. What was once the first floor is now the second, with a large living area inserted beneath the house. 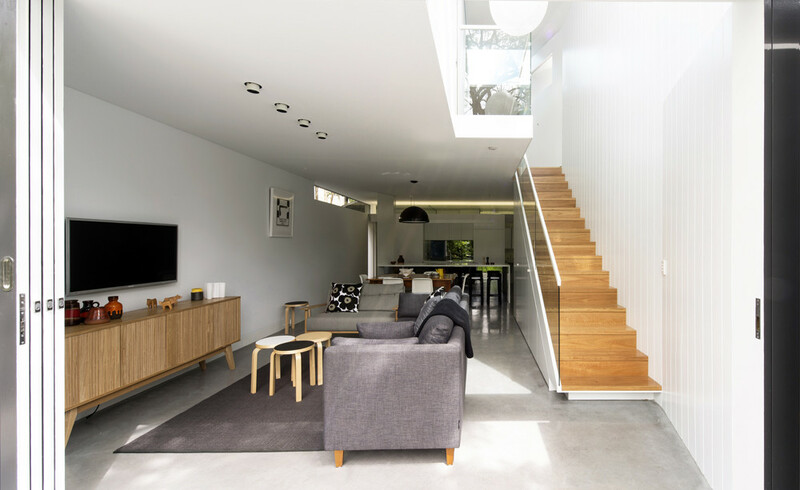 This arrangement adds plenty of additional room to the home without making substantial changes to its appearance from the street. 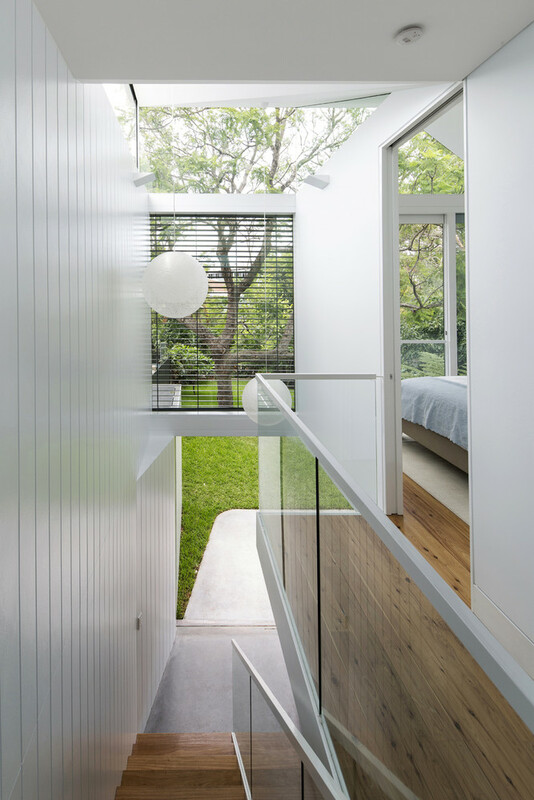 The space inside is vertically stretched, with windows along the sides of the home placed high to let in natural daylight without sacrificing privacy. 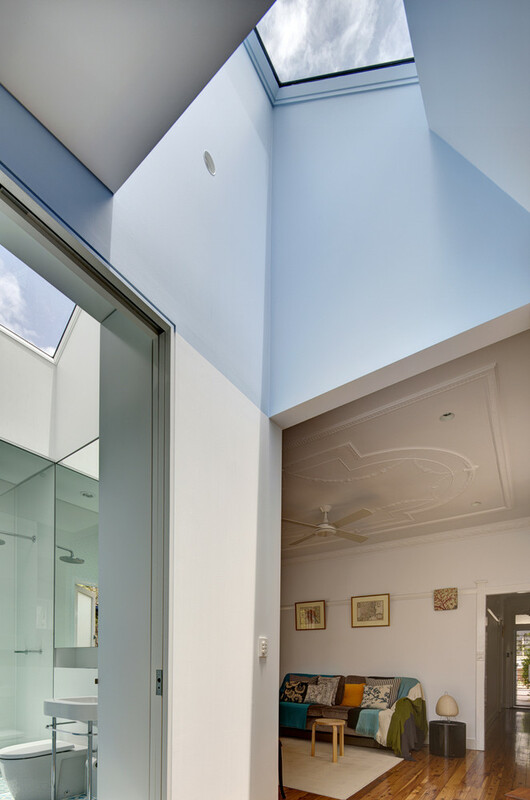 The combination of large glazed windows, vaulted ceilings and skylights gives the home an open and airy feel that can be difficult to achieve in low-ceilinged traditional designs like that of the original home. The large glass doors facing the backyard open to extend the living space even further, and adjustable blinds offer varying degrees of privacy as desired.